DIAMONDS seems to be a girl’s best friend and there is no doubt in it. A beautifully made jewelry item can serve as an embellishment, whether it is delicate and sophisticated or light and bold. Huge varieties of jewelry are available in market, but the unique and highly prized jewelries will definitely put you out of pocket as it is usually made of diamond. The jewelry made up with beautiful colored, extremely valuable and rare diamonds is really outstanding and marvelous having no comparison. 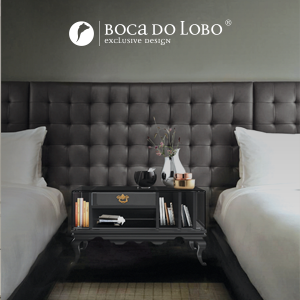 The prices of the jewelry are going to increase if the item is bigger, fancier or the piece is rare and valuable. While thinking about the most expensive jewelry items in the world, the image of gracefully cut diamonds mounted beautifully in bracelet, ring, earrings, necklace comes to mind and for this the jewelry lovers have to pay even million of dollars. Here is the list of top 10 most expensive jewelry in the world, these stunning pieces of jewelry are really outstanding and is a perfect example of beauty and charm. Flawless pink colour diamond known as pink star mounted on a ring was sold at an auction in November 2013, for a tremendous amount of $83 million and is known as the world’s most expensive jewelry item. 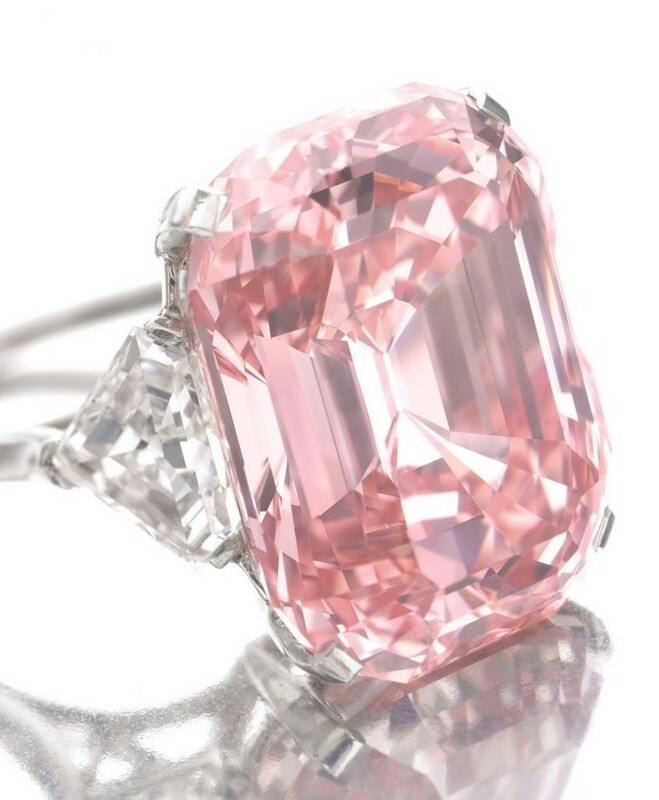 Its current owner is Isaac wolf who has named this precious and valuable diamond as The Pink Dream. The Pink Star diamond also formerly named as Steinmetz pink has a weight of 59.60 carats and is available in Fancy vivid pink colour, which is said to be the most demanding colour in diamonds. This plum sized flawless and extremely rare pink colour diamond took two years for its polishing and giving it a graceful shape. 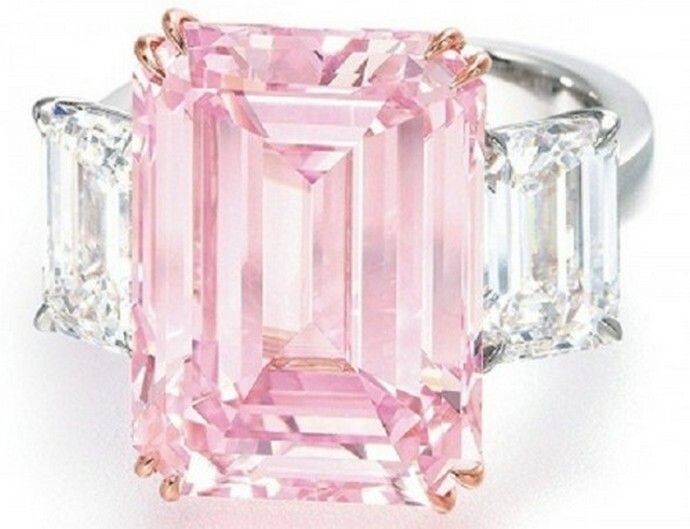 It is twice the size of the Graff Pink that is a 24.78 carat fancy, beautiful intense pink diamond and had the record of most expensive jewelry item previously. L’Incomparable Diamond Necklace holds the World Record of the most valuable necklace in the world. This Mouawad’s 637-carat diamond necklace has worth of $55 million and is comprises of a modified shield step-cut yellow diamond of 407.48 carats that is known as the world’s largest internally flawless diamond. The necklace also contains 91 diamonds of different cuts that also includes white diamonds of 229.52 carats set in 18K rose gold. The Incomparable diamond was discovered by a young girl more than 30 years ago, a massive diamond of 890 carats was found in the by product of a diamond mining. 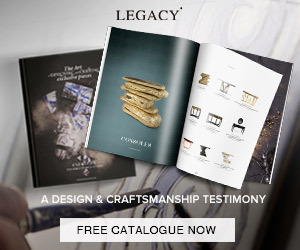 It requires high artistic skills to fashion a renowned diamond of such magnificence and rarity into jewelry. The expertise of Mouawad with creativity and style, crafted the most impressive and valuable diamond necklace. The flawless rare yellow diamond took more than four years in its polishing. The very exclusive jewelry item in the world is The Graff Pink, it is a stunning and beautiful ring composed of a rare and great diamond that is mounted on a platinum ring and set between two shield shaped diamonds. It is a fancy and rectangular cut intense pink coloured diamond ring of 24.78 carats that was sold at an auction in Geneva on 16th of November, 2010 for so much high price. This diamond with its delicate round corners, perfect rectangular step cut and completely fascinating pink colour make it the world’s most beautiful and appealing vivid pink diamond. Its current owner name is Laurence Graff who is a famous jeweler and diamond collector. 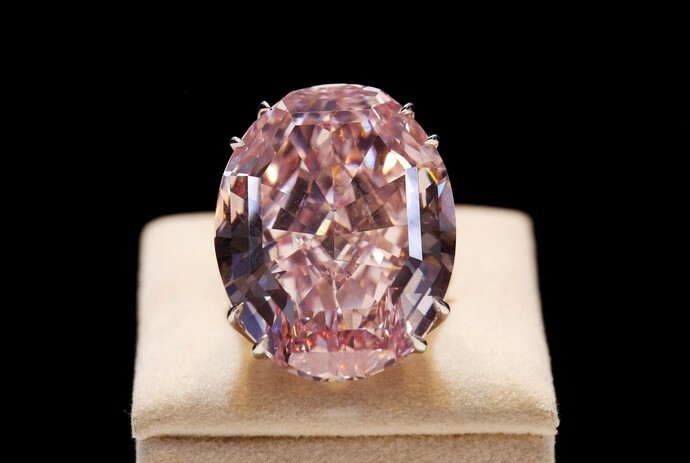 The Graff Pink has been designated as one of the greatest diamonds ever found, it is a rare gem of type II colour diamond and has finest rating making it so much worthy. 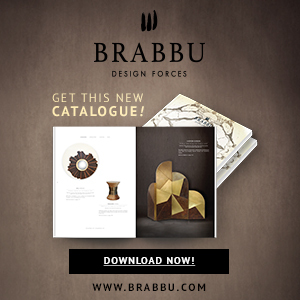 This beautifully designed jewelry item possesses some interesting history. Wittelsbach-Graff Diamond is a fancy deep blue diamond of 31.06 carats and has internally flawless clarity. It was originally named as Wittelsbach Diamond that was originated from Indian Kingdom’s mine and in 1664, King Philip IV of Spain purchased it as an item for his daughter’s dowry. 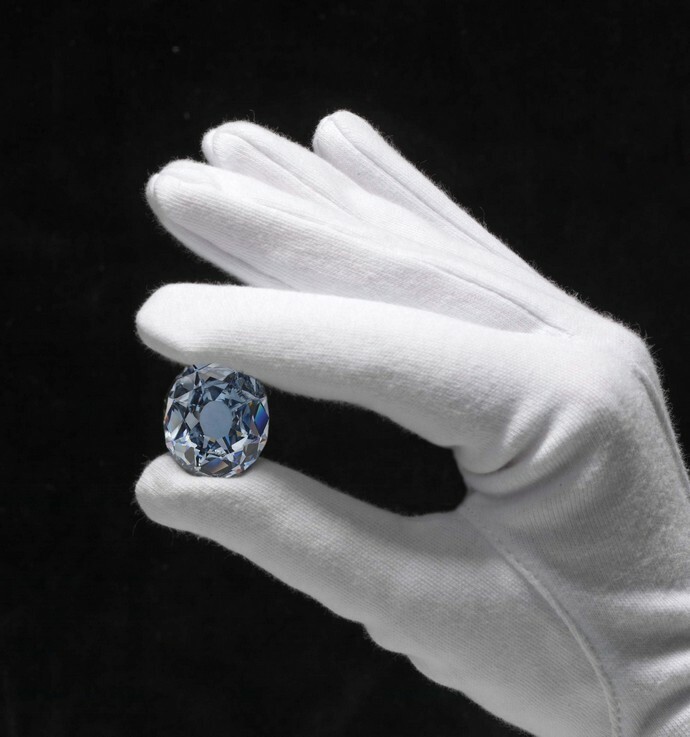 However in 2008, Laurence Graff purchased this precious diamond for an amount of $24.3 million. In 2010, he cut the diamond with the help of three diamonds cutters in order to remove the flaws, he then renamed this 4 carats lighter diamond as Wittelsbach-Graff Diamond. It is really a unique diamond with steep mystery and rich royal origin, Laurence took the risk of re polish this unique stone with the aim of exploring its hidden beauty. Diamonds itself are expensive but their worth is increased if they are coloured ones, the same is true for The Perfect Pink which is a rare fancy intense pink diamond of 14.23 carats. In the long auction history of more than 244 years, there were only 18 diamonds larger than 10 carats and showed such a distinct colour of pure pink, as fewer than ten percent of pink diamonds weigh more than 0.20 carats. This Perfect Pink diamond ring got its name from the perfectly pink colour, in this the rectangular shaped diamond is surrounded from each side by flawless diamonds of same shape weighing about 1.67 and 1.73 carats respectively and to make it more charming, these three diamonds are mounted on an 18 carat ring of rose and white gold. The Perfect Pink diamond has not only impressive size but also has perfect colour, cut and clarity. 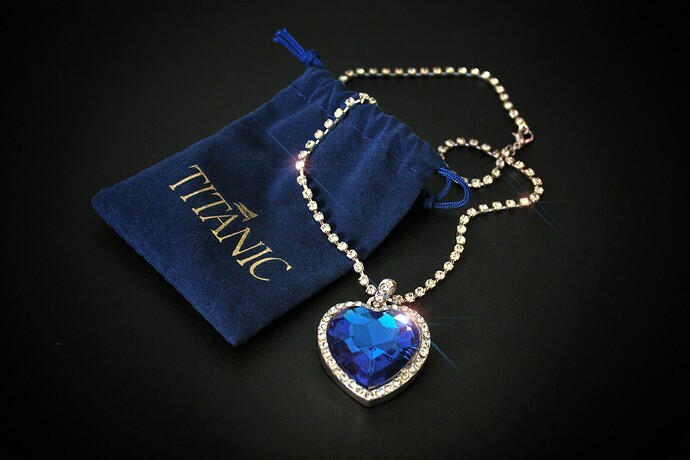 It is a renowned and most recognized jewelry piece because it is the same reflection of the necklace used in the super hit movie Titanic. The renowned jeweler Harry Winston created the Heart of the Ocean Diamond necklace by using a real blue diamond of 15 carts. 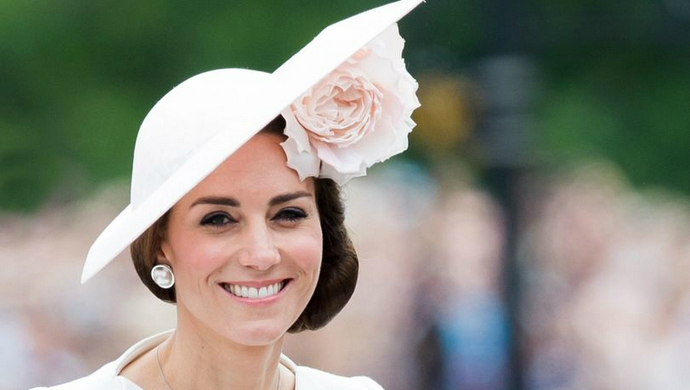 It is considered as one of the most expensive jewelry items worn ever at the Academy Awards in 1998. This expensive necklace of $20 million was worn by actress Gloria Stuart, who depicted the elder version of Rose. The interesting history behind this beautiful necklace makes it more worthy and every man will like to gift it to his wife in order to proof his love. 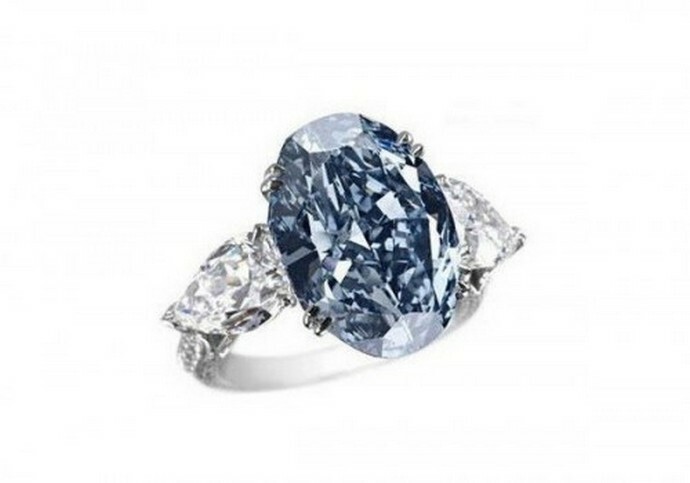 Blue diamonds are very rare form of diamonds and the Chopard’s Blue Diamond Ring is the one that can make any other diamond ring to look bad in front of it. This elegant jewelry piece is made up of flawless, blue oval shaped beautiful diamond mounted on 18 carat white gold ring along with triangular shaped white diamonds on the side. The elegant and rare blue diamond that is centrally placed has weight of 9 carats that can make any women go mad for it. If some one wants to own very rare and magnificent thing then this beautiful ring is the perfect choice. 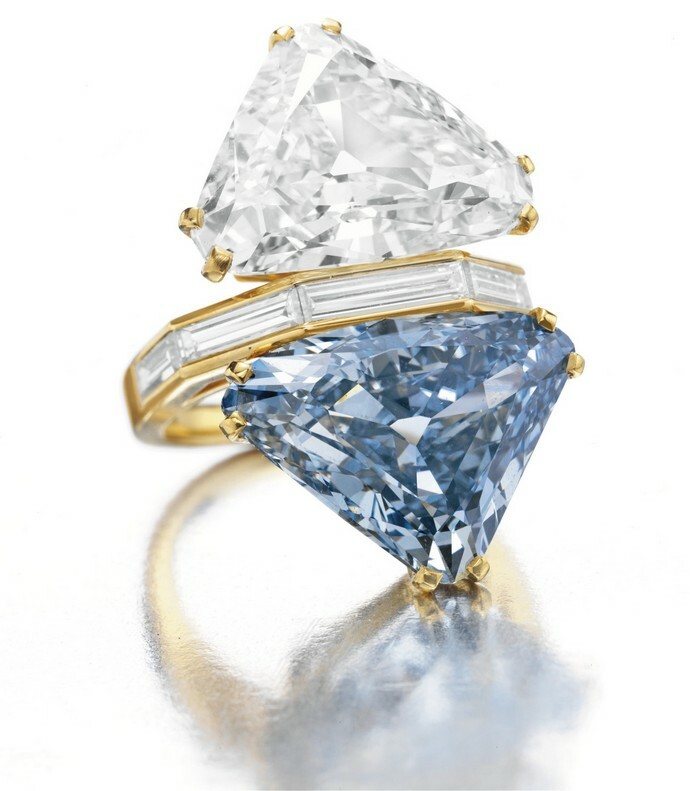 The Bulgari Blue Diamond Ring is one of the most expensive and unique diamond rings in the world and is made up of two stones. It features an elegant triangular cut blue diamond having weight of 10.95 carats and the other stone is another diamond that is colourless has triangular shape with a weight of 9.85 carats. The diamonds use in this ring have best colour, clarity and flawlessness and therefore worth so much. This expensive jewelry piece is made by one of the world’s oldest and renowned jewelry companies named as Garrard and is featured of a huge beautiful heart-shaped Burma ruby of almost 41 carats mounted on a stunning diamond necklace of 155 carats. 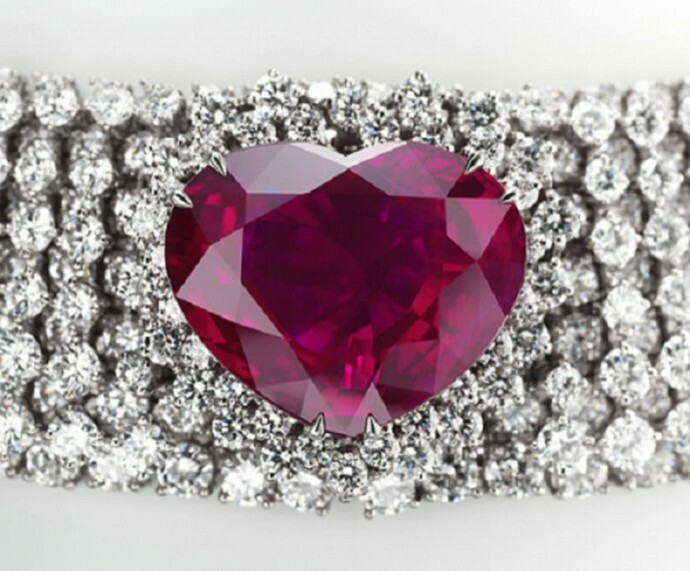 This brilliant jewelry piece is really outstanding as the very rare and beautiful ruby along with 150 diamonds is used. 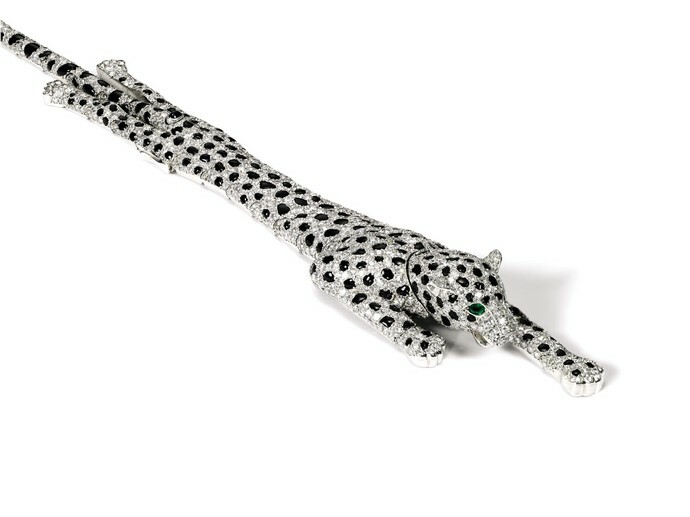 This innovatively designed diamond panther bracelet has its own charm and beauty. It was designed in 1952, by Cartier Paris and then was owned by American socialite Wallis Simpson who was renowned for her elegance and charm. 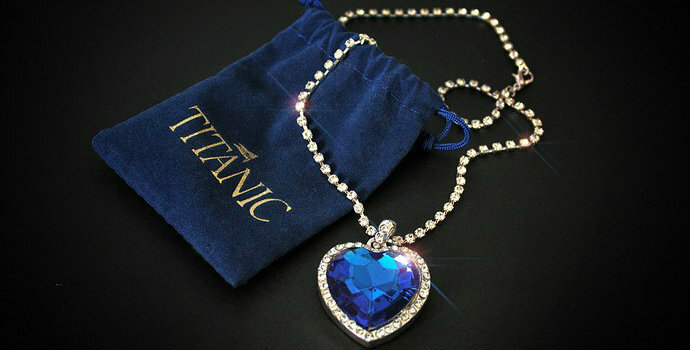 It is an aspiring jewelry piece that if hanging on the wrist would be an explosion of diamonds.